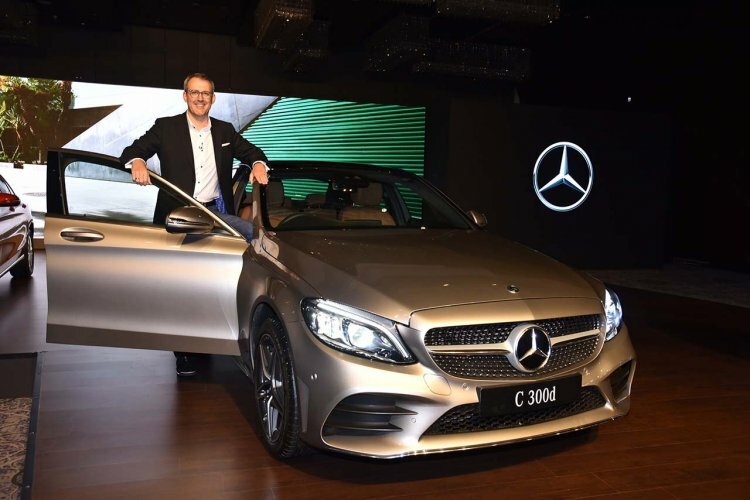 Cardekho reports that the 2018 Mercedes C-Class (facelift), which was introduced in India with two diesel engine options in September 2018, is about to get a petrol engine variant. In comparison to the pre-facelift, Mercedes-Benz says that there are 6,500 part differences on the new model. 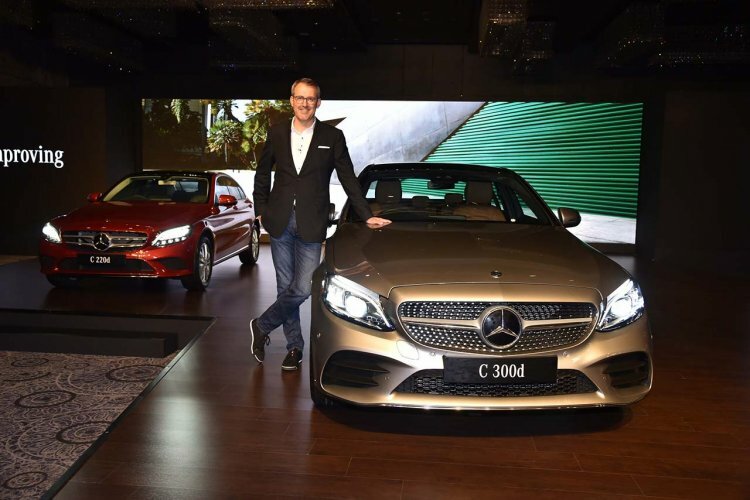 The 2018 Mercedes C-Class features updated headlamps and taillamps with new LED fixtures. The bumpers receive a minor nip and tuck. In the side profile, the car gets a set of new alloy wheels. Since the introduction of the mid-cycle update, the C-Class has been on sale in a new exterior paint option - Mojave Silver. The interior boasts a new steering wheel that holds a dual touchpad control system. Taking centre stage on the dashboard is a new 10.25-inch high-resolution screen for the COMAND infotainment system. Other highlights of the equipment list include a smartphone integration package, ambient lighting with 64 colours, and open-pore walnut wood trim. Powering the petrol version of the 2018 Mercedes C-Class will be a BSVI-compliant 2.0-litre motor that will be mated to a 9-speed automatic transmission. It will output a maximum power of 250 PS along with a peak torque of 370 Nm. The diesel versions of the premium offering are being sold with a 2.0-litre turbocharged engine that is shared with the E-class All-Terrain. The diesel motor is available in two states of tune - it outputs 194 hp and 400 Nm for C220d variants, and 245 hp and 500 Nm for the C300 d AMG Line. The oil-burner is paired with a 9-speed automatic transmission that sends power to the rear wheels. The diesel version of the 2018 Mercedes C-Class is powered by a BSVI-compliant OM 654 engine that is available in two tunings. Reportedly, the 2018 Mercedes C-Class could receive another petrol engine in the coming months. The second gasoline-powered variant will feature a 1.5-litre turbocharged petrol engine that will output a maximum power of 181 hp. The smaller motor will benefit from mild-hybrid tech. Currently, the executive sedan is on sale in a price bracket of INR 40.0 - 65.25 Lakh (ex-showroom, pan-India).